Let’s take a look at one example. PayStand customer BIIA Insurance formerly accepted the majority of payments for insurance premiums via mailed paper checks. In an effort to cut down on overhead and push customers to their website, BIIA began offering credit card payments online. They replaced one problem (high overhead associated with paper checks) with another one (drastically increased credit card processing fees). Invoicing is a crucial part of business workflows because it lets customers know that they owe your business money. If your customers don’t know what they owe, your business probably doesn’t get paid - which means it might not survive. And especially in businesses where some or all of the payment process takes place after the order is made, there must be a clear and concise way to let customers know that they need to remit payment. One PayStand customer that is a global real estate provider found themselves in this exact scenario. For each home sale completed by one of their real estate agents, that agent was responsible for remitting a percentage of the profits back to the company. However, the company didn’t have a system to invoice the agents for payment. They simply waited for agents to send payments. This lack of process spelled big problems for the company, including unpredictable cash flow, slow remittance, and lack of visibility into payments. The answers to this question will vary widely, as you can imagine. A PayStand customer that’s an agricultural wholesaler used mailed invoices and paper checks for 100% of their payments. Their invoicing process was entirely manual due to high invoice amounts (like $50,000 per invoice) that would incur exorbitant processing fees if charged to a credit card. What person or team is responsible for the invoicing process? What’s the trigger that generates a new invoice? What information is included on each invoice? How is the invoice delivered to the customer? What are the customer’s options to make a payment on the invoice? How can a customer resolve questions on an invoice? How does the company receive invoice payments? How are the invoice payments processed? Think about the problems your business has with invoicing today. Maybe payments are too slow, or fast payment options are too expensive. Finance staff may be spending too much time on manual processes. There may be routine errors that cost the business time and money, or no visibility on payments for employees and customers. Finding the gaps means you can start to address them. Each of our customers mentioned above took a look at the problems with their respective invoicing workflows and decided to make changes. BIIA Insurance installed PayStand’s flexible payment gateway to provide online payments at much lower rates, cutting transaction costs in half. The agricultural wholesaler used PayStand’s payment gateway to convert 60% of paper check payments to eCheck, and the global real estate provider launched PayStand’s A/R workflow (including invoicing) and saved $120,000 per year. 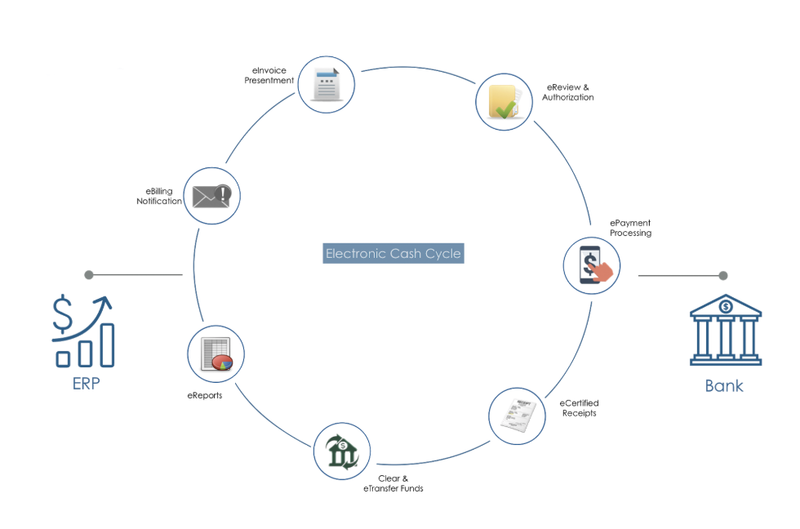 How much time and money could you save if you fully understood the enterprise cash cycle of your business? Request a demo to learn how PayStand can support your business’s digital transformation. Scott is co-founder and Head of Solutions at PayStand. What Makes For a Great B2B Ecommerce Store?